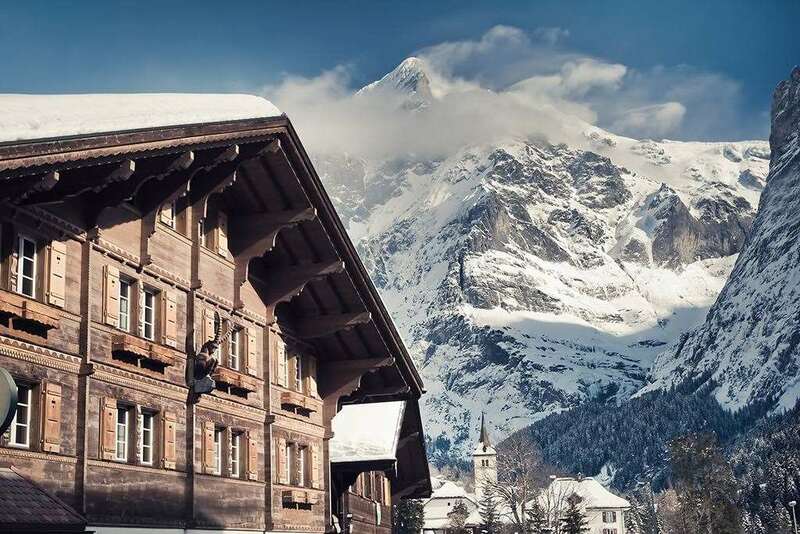 Dramatically set in magnificent scenery directly beneath the towering north face of the Eiger,Grindlewald enjoys fantastic views over the Jungfrau mountain range. Take the famous train up from the village and travel right through the notorious North Face up to the UNESCO World Natural Heritage site of Jungfraujoch for breath-taking views. Grindelwald is also home to the longest toboggan run in the Alps, running more than 15km in total. With a total of 213km of pistes over three areas, there is something for everyone. Beginners will enjoy the wide blues in the First area just above Grindelwald where there is also a piste reserved especially for slower skiers. Intermediates will find great reds in all three areas, while Experts can test their skills on the famous Lauberhorn piste where the World Cup Downhill is held. The White Elements Snowpark a t First and the Funpark “Im Rad” at Murren means freestyle skiers and boarders can perfect their tricks on a variety of kickers, boxes and slides. There are 38 snow cannons blasting out artificial snow across the Grindelwald pistes which makes up around 66% of the slopes covered in snow making facilities for more guaranteed skiing throughout the winter season. Cross country skiers can explore the 30km of trails in the area, and walkers have 100km of winter footpaths to enjoy. Grindelwald is a pretty village with a great selection of shops, cafes and bars to explore. The visitor card gives free access to the sports centre’s swimming pool and ice rink, plus a reduction on the price for the sauna area and boulder area. The gourmet restaurant at Hotel Belvedere is very popular with both hotel guests and visitors try to get a window table for incredible views to the Eiger. The relaxed C und M Café Bar serves lovely pastries and coffee during the day and local specialities with fine wines in the evenings. 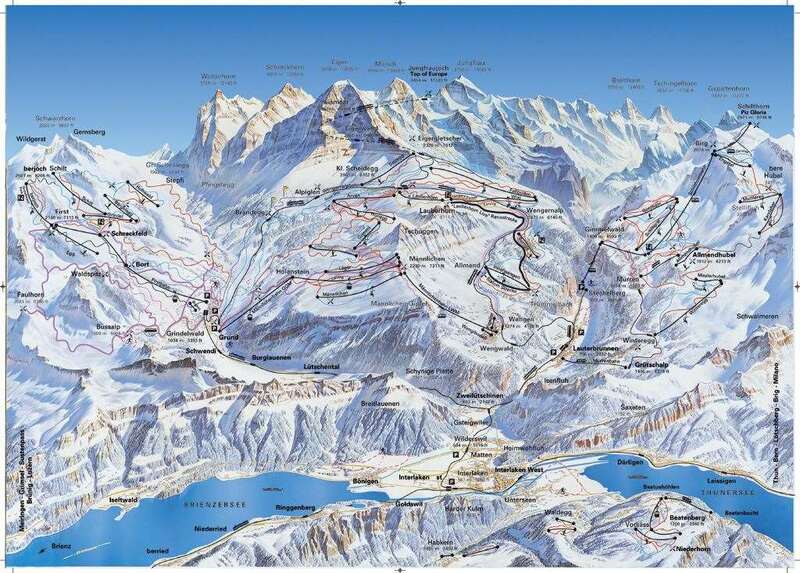 the nearest international airport to Grindelwald ski area is Bern which is around 69 km transfer away which is a short car or us bus journey to and from resort. One of the best kept secrets of the Alps, the town of Grindelwald sits on a sunny plateau at the bottom of the Eiger's imposing North Face. It offers a choice of 4 seperate ski areas all on the same lift pass, each with their own seperate character There is a bit of something for everyone, even if you don't ski. The skiing is varied and the scenery stunning and as most of the skiing is at around 2000 meters and on North facing slopes, the snow lasts right to the end of the season and you can normally ski right back to the resort. Although the price of ski hire is higher than in some resorts, the quality is always first class and there is a good choice of ski schools in town, including the British run Altitude Snowsports School. Pretty much everyone in town speaks English fluently and there are plenty of nice but not too rowdy bars and clubs to entertain you at night. Contrary to the common perception, not everything in Switzerland costs a fortune, so nights out are affordable as well as fun.